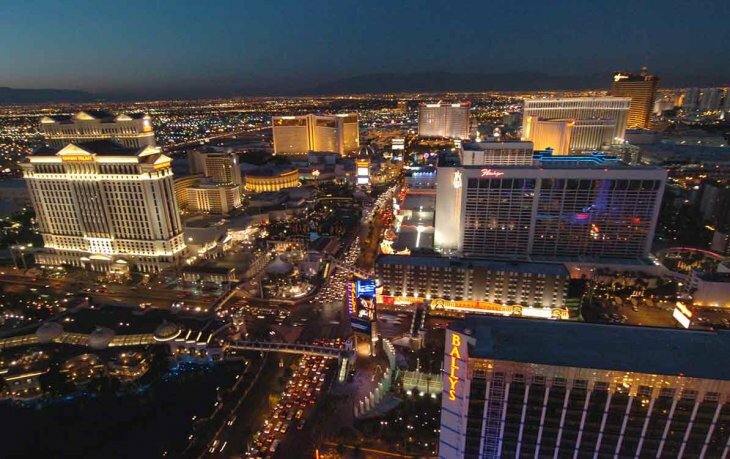 Having built itself a reputation as being the quintessential city that never sleeps, Las Vegas is popular with visitors the world over. Luxury casinos and pulse-raising nightlife has always been the main draw, but there is so much more to this city than just neon lights and gambling. Whether it be the strong collection of boutique hotels, shops offering the latest cutting-edge fashions, or indeed the art galleries and chic nightclubs, there is plenty on offer for those looking for a gamble-free holiday. Of course, those that are looking for the thrills and spills of the casino will find no shortage of excitement, as these run round the clock with a march that is rarely interrupted by the outside world. Couple that with its reputation for being a stage for some of the world's biggest stars, including Frank Sinatra’s Rat Pack, Marilyn Monroe and Elvis. Las Vegas enables everyone to escape the humdrum every day. First founded as a city in 1905, the downtown area of Las Vegas was formed when 110 acres of land near the Union Pacific Railroad tracks were auctioned off to settlers. The state of Nevada legalised casino gambling in 1931 and reduced residency requirements for divorce to six weeks. The year also saw construction begin on the iconic Hoover Dam, which lead to an influx of construction workers, many of whom subsequently avoided much of the economic torment that came with the Great Depression. 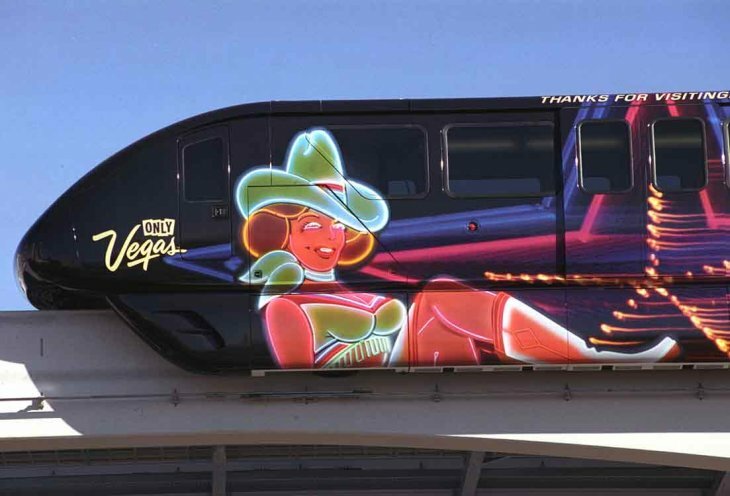 The lavishly decorated hotels and gambling casinos so associated with the modern city first popped up on the back of World War II, with the 1950s witnessing the opening of the Moulin Rouge, which was the first racially integrated casino-hotel in Las Vegas. The city's growth continued throughout the 60s with various corporations and big businesses building and buying hotel-casino properties. That level of growth has continued until this day. Despite Vegas often having the feel of a different universe, there are many similarities with the rest of the US. Tipping is just as big as it is in the rest of the US. For instance, if you win big in one of the casinos, the done thing to do is to hand over a small tip. Similarly, if you want to take a picture with any of the street performers and you don't tip, you face plenty of angry heckling. Prostitution is legal across the city too, so be prepared to see it freely advertised. If you do decide to have a flutter in the casinos then make sure you stick to the rules. Under-21s are allowed inside, but are required to stay in certain areas. If you are of age, then you'll be happy to know that many casinos offer free drinks to gamers. Open container laws are reasonably strict when out and about. 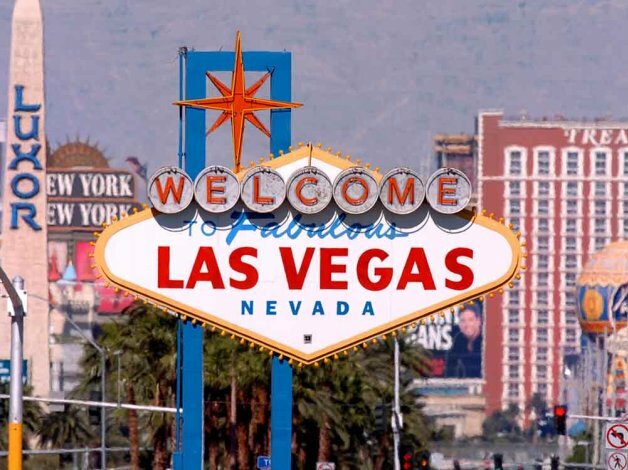 Despite boasting one of the largest Metropolitan areas of any city in the US, Las Vegas does not have a single major professional sports team. The main reason has always been the rules surrounding sports betting, which while legal in the city is prohibited by all of the major American sporting organisations. Try to avoid getting taxis as they tend to be pretty expensive. Many of the hotels dotted around the city run free shuttle buses, so always be sure to ask. Regular buses run up and down the Strip. Tickets must be bought before you get on the bus, though. Try and avoid the non-express buses if you're going to the Downtown/Fremont Street Experience or Northern Premium Shopping Outlets - they stop at every stop and take twice the time! Being on the strip really is the best way to experience Las Vegas as it is jammed with casinos, lights, hotels, restaurants, spas and nightclubs. 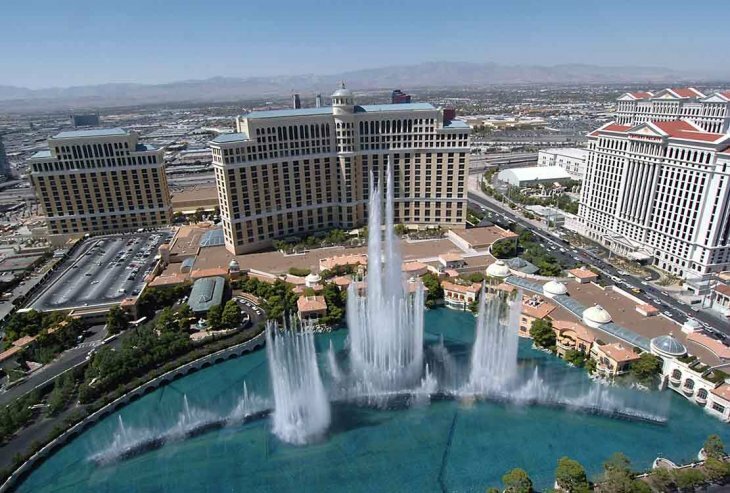 One of the most iconic sites is arguably the Bellagio Hotel's lakefront, complete with dancing fountains choreographed to the smooth stylings of Frank Sinatra. The inside of the hotel isn't bad either, with visitors given the chance to gawp at the over-the-top seasonal floral displays at the conservatory. Head over to the Stratosphere Tower and you can be elevated 100 stories above the strip, which is served by the fastest elevators in the US. If you really want a thrill, then enjoy the 800 feet freefall on the SkyJump. If you want something with a little more spice then head over to the Mirage casino, where a faux-Polynesian volcano erupts spectacularly after dark. With its proximity to the Grand Canyon, many of the hotel concierges and tourist offices dotted up and down the Strip offer numerous tours out there. The best (and quickest) way to do this is by helicopter. All the hotels have decent bars and complexes housing many. New York New York on the south end of the Strip has warrens of bars, including the Irish bar Nine Fine Irishmen and the Coyote Ugly bar. The Official Sevens bar is usually on the ground floor of the Monte Carlo Hotel, aptly called "The Pub". Want somewhere decent to eat? Las Vegas has plenty of high-quality restaurants out there. Even Gordon Ramsey is here, having set up arguably the best steakhouse in town.